The Wharf is a family entertainment district located at Foley Beach Expressway and Canal Road in Orange Beach, AL. With an array of amenities, experience hundreds of fun activities and events throughout the year. 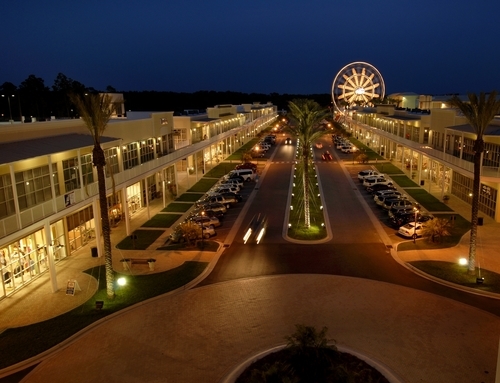 Enjoy shopping, dining, movies, a marina, amphitheater, ferris wheel and more! SPECTRA, The Wharf’s Light and Sound Spectacular is a truly unique entertainment experience.